About four years ago, we hatched a plan to start sharing our science with the world of social media with our very first blog. Now we’re super excited to give you a first look at the next evolution. Over the years we’ve brought you all the latest from our work in space in our Universe blog, our voyages at sea with our Investigator blog, and of course, stories from right across our varied and diverse science right here in our News Blog. So to keep giving you all the news you know and love, we’ve built a new home for all of the great news you love that really showcases the breadth and depth of work we do here. We’ve organised our archive of news into handy categories for you to browse through, and designed nice, clean pages to make catching up on the latest innovations and research a breeze. So what are you waiting for? Dive in! We love you! No, seriously, we do. And we’re committed to making this move work for our relationship. If you’re receiving our updates by email, we’ve got you covered. We’ll make sure you’re signed up to keep getting all the latest news direct to your inbox. We’ve even tweaked our system so you’ll get all the updates from the day in one handy email, rather than multiple emails during your day. If you’re keeping up with us through a WordPress.com subscription, things are a little trickier. Unfortunately, we can’t do all the work in this relationship, we need you to come on over and subscribe to our new blog. It’s really easy, and you can opt for a daily email update, or a weekly wrap-up with everything we’ve been up to. Just head to our Subscribe page. So come on over and check out our new digs! Just to sweeten the deal, we’ve got our hands on a bunch of tickets for Buzz Aldrin’s* upcoming speaking gigs in Melbourne and Sydney. All you need to do is subscribe for your chance to win. And don’t worry if you’re already a subscriber – we’ve included you in the draw too. *When and where? Sydney: 27 November; Melbourne: 29 November. Visit www.liveonstageaustralia.com.au for more info. *How will winners be decided? We will be choosing the winners from our email subscriber list at random. Winners will be notified by Friday 23 October. It’s a heady question pondered by humans for as long as history has been recorded – each civilization has had their own creation myths explaining how the stars and the night sky came to be. But for our astronomer, Shari Breen, it’s a question she takes a lot more literally: just how did stars form from nothing more than clouds of gas into their current state? Shari’s been working on this question for eight years now, and her current area of focus is showing a lot of promise in helping to answer this universal question. What’s more, her star-studded studies are attracting some highly-esteemed recognition: Shari has just been named as a L’Oréal-UNESCO For Women in Science Fellow. Along with three other outstanding female scientists, Shari was selected from a field of over 240 applicants and awarded a prize of $25,000. Shari (third from left) with her award last night. Shari’s own star is undeniably on the rise, and we congratulate her on this amazing recognition of her work. But let’s return to that universal question: just how is a (celestial) star created? According to Shari, one of the difficulties in understanding the process through which stars form (particularly high-mass stars) is the lack of ‘signposts’ in identifying different evolutionary stages. We know the ingredients that make up a star, but when were each of them added? We can’t wait to see what contributions Shari will make next. To find out more about our astronomy research, check out our website. Love me tender: the giant northern termite, an endemic species living in tropical Australia. As you may have spotted, the title of this article is a cheeky reference to the famous saying that Australia rides on the back of a particular woolly ruminant. The reference dates back to 1894, when the wool industry was one of the primary sources of Australia’s prosperity. Wool was our main export commodity from 1871 to the 1960s. For more than a century, the golden fleece drew pastoral workers and professionals to regional Australia, and sustained many a country town. It is likely that most people would consider the native birds and animals in the farm shelterbelt to be the main source of agricultural biodiversity. 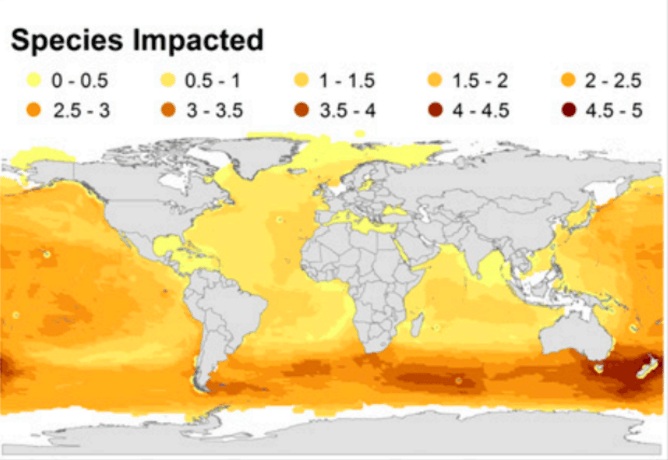 However, the most diverse and important biodiversity is much smaller. And it’s invertebrate. Looking beneath the farmer’s feet we would find countless insects and other invertebrates living out their lives, and in so doing providing services that we take freely and for granted. While Australia long ago hopped off the sheep’s back, insects and other invertebrates still do things that sustain our society. Yes, “sustain”. In recent years, agricultural economists have put estimates on the values of some of these insect services to human society. 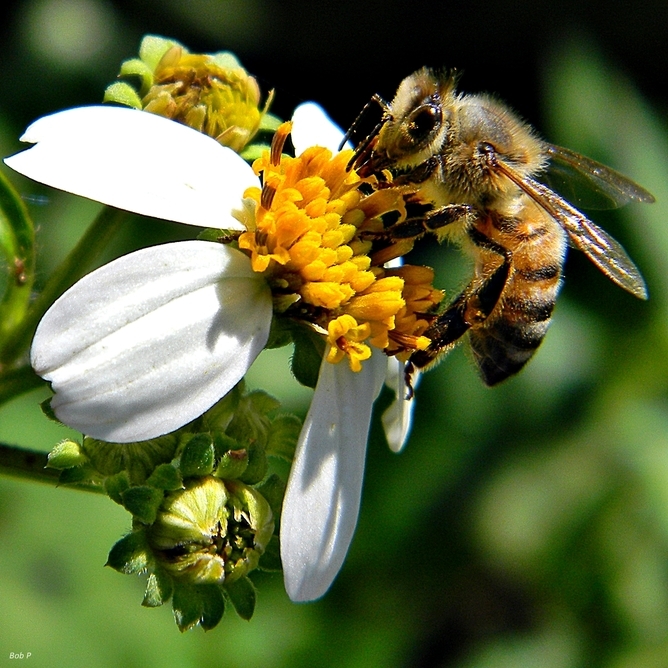 In one 2009 example, the total economic value of insect pollination of agricultural crops worldwide was A$220 billion. A sizeable fraction of this pollination occurs in Australia by species such as the European honeybee, and many thousands of native bees and flies. Insects are a bit like car keys, you only notice them when they are missing. During the mid noughties, honeybees died in large numbers in Europe and the United States, a phenomenon known as colony collapse disorder (CCD). The cause of CCD is complex and not yet fully understood. But the effects were transparent. Profits from pollinated crops, such as almonds decreased. The prices of some foods increased significantly, because farmers had to pay more for disease-free bees, often importing them from CCD-free Australia. Another good example is the service that introduced dung beetles provide. Australia’s cattle herd was estimated at 30 million in the 1970s, each animal producing 10 pats per day, covering over 2.5 million hectares of pasture each year. Millions of bush flies (Musca vetustissima) also bred in the dung. Overseas these dung pats would have been recycled into soil nutrients by the local dung beetles that buried small chunks of the dung in the soil to rear their young. However, Australia’s native dung beetles are adapted to feed on and bury dry, fibrous marsupial dung, and avoid the much more moist cattle dung. CSIRO introduced dung beetles from Europe and Africa in the 1970s and 1980s that buried cattle dung underground so that it became a fertiliser for use by grass and other plants. The burrowing activity of the beetles also aerated the soil. And it also provided another important service: controlling the bush fly plague by removing and burying the dung that bush flies were breeding in. Australia’s outdoor café owners probably don’t know it, but they owe at least part of their clientele to the silent work of introduced dung beetles working tirelessly in the agricultural districts surrounding our cities, once the source of most of our bush flies. If you want to know more about the dung beetle story, watch the documentary The Great Australian Fly by 360 degree films, which can be found on ABC’s iView. We often have an ambiguous relationship with insects, entire groups are prejudiced because of a few pest species. Termites are an excellent case in point. In most cases we only think of the damage they can do to timber in buildings. But termites are in fact great soil engineers. They play a key role in the functioning of many tropical and subtropical landscapes, such as those found over much of northern Australia. They decompose wood and grass, and they are also social creatures, living in great colonies that sometimes produce a characteristic mound. Their region of influence in the soil is termed the termitosphere, and this is where termites are busy nutrifying, aerating, moistening and mixing the soil. Termites are small but numerous, and their biomass can exceed 50 grams per square metre, much greater than mammalian browsers in the same environments. 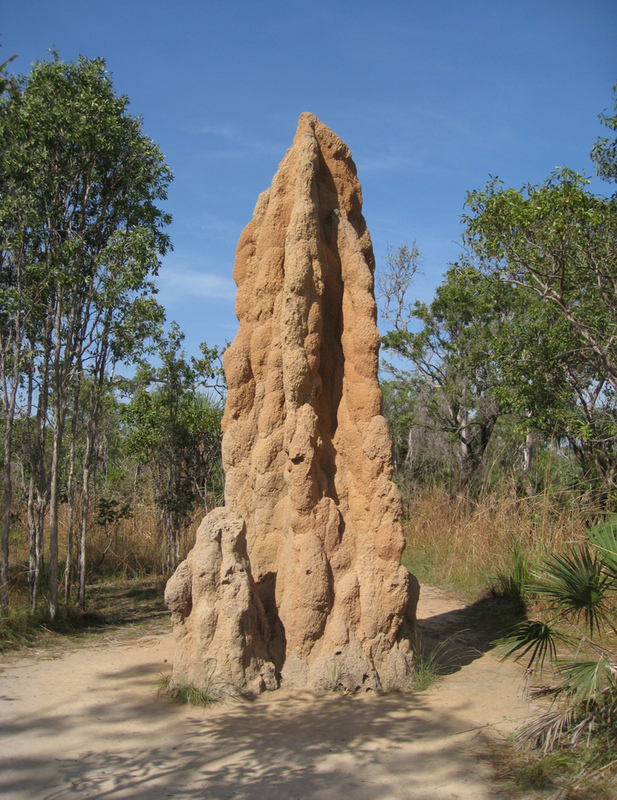 Because termite mounds are intense, crowded insect cities full of life, growth, decomposition, waste and death, soil nutrient levels are much higher around them – up to seven times higher in one Australian example. Termite excavations move soil around between layers, and create tiny holes in the soil that allow air and moisture to infiltrate. Termites modify many soil characteristics, improving and increasing the productivity of soils, and they do this free of charge over much of northern Australia. Overall, the positive benefits of the termitosphere are far greater than the costs. With insects being such a valuable resource, and part of the natural heritage of a first world country such as Australia, you would think that we had a good handle on our insect diversity. The reality is very different. 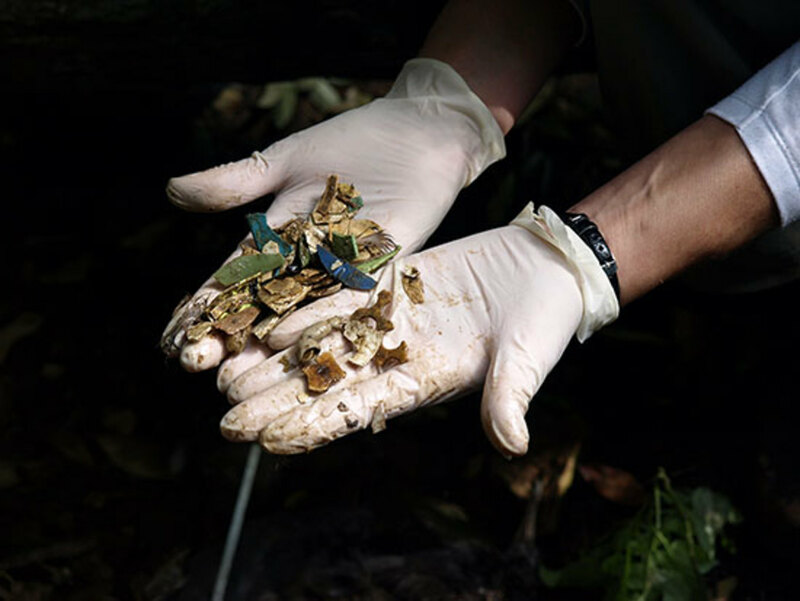 We have only managed to catalogue around 25% of our insect biodiversity at species level. The remaining 75% cannot be managed well because we don’t have the basic information required such as what it is, where it occurs, and what it does. For example, there are around 260 named termite species in Australia, but this represents less than half the total number, and many of these unnamed species are represented in CSIRO’s Australian National Insect Collection. Imagine trying to manage a library without knowing how many books you had on hand, and what they were about. In other areas such as medicine and physics we have learnt the importance of small things: germs, atoms, chemical molecules etc. We gain knowledge in these areas by reducing the system to its basic components and working on the properties of these parts and their interactions. But in biodiversity science we are still trying to understand and manage ecosystems with only a basic knowledge of a subset of the biological components in the system. Australian ecosystems ride on the insect’s back, and we would be better off economically, socially and environmentally if we invested more in understanding our insect fauna.